Malaysia’s Good Food & Stay Guide » Blog Archive » Party with Ikea 1-day Swedish Crayfish(lobster) Buffet! Party with Ikea 1-day Swedish Crayfish(lobster) Buffet! 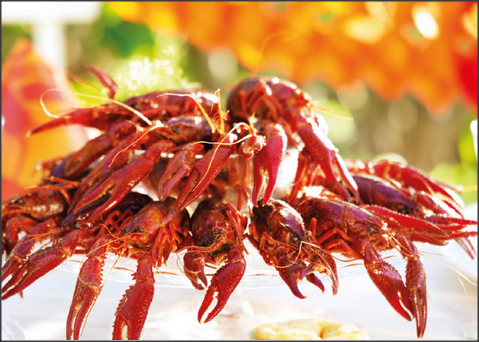 - 5.30-7.30pm or 8-10pm (2 hours unlimited crayfish party). Buffet line will be closed 15 minutes before the stated end time. - Tickets are available for purchase only at the IKEA Restaurant, First floor. - All paying adults are entitled to a RM10 IKEA voucher. Kids 4-12 years	RM15, kids under 4 years are FREE. Ikea website for more info. This entry was posted on Monday, August 11th, 2014 at 8:42 pm	and is filed under Food Courts, Food Promo, Heavenly Klang Valley Food, Western Restaurant. You can follow any responses to this entry through the RSS 2.0 feed. You can leave a response, or trackback from your own site.